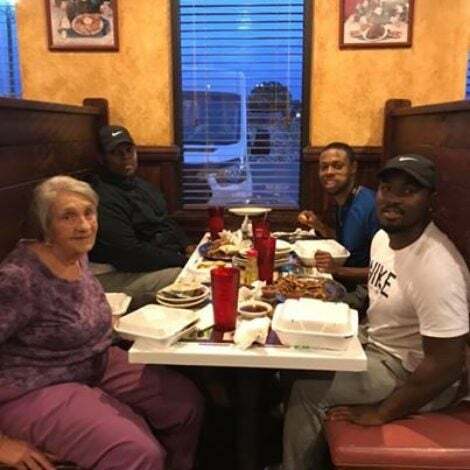 We loved and lived for Black Panther but one couple might have us beat with their appreciation for the blockbuster record-breaking film. Spotted on Instagram, one bride and groom, Natalie and Michael Adeleye, loved the Ryan Coogler-directed movie so much they had their wedding photos recreated to mimic the Black Panther poster. Black Panther. Wedding Edition. When our bride & groom told us how much they loved Black Panther we knew we had to do something EPIC. So, what better way than to recreate the poster of the record-breaking film! PS: Tag the cast below so they can see it! 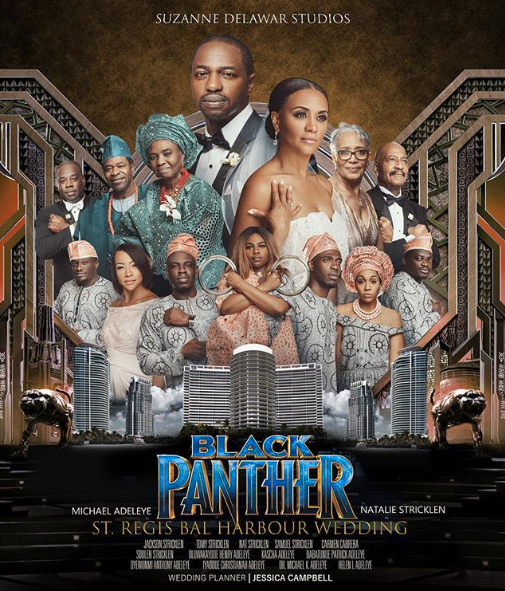 Shared by their wedding photographer, Suzanne Delwar, the Adeleyes showcased their adoration for not only T’Challa and Nakia but the entire cast by incorporating their entire family into the poster. “Black Panther. Wedding Edition. When our bride & groom told us how much they loved Black Panther we knew we had to do something EPIC. So, what better way than to recreate the poster of the record-breaking film!” Delwar shared.